Alamo.nl online car rental is offered to you by Target Travel Services in Maarssen since 1995. The sales office of Target Travel Services is specialized in marketing and worldwide car rental through the network of Alamo. On the website of Alamo.nl you can find more information about rental locations and rental rates. If you have any questions the experienced staff of Target Travel Services will help you immediately and they will also process your reservation. The staff of Alamo.nl has been dealing with car rental since Alamo started doing business in The Netherlands 25 years ago. For 20 years Alamo.nl has been offering online car rental, being one of the first companies to start with car rental service through a website. The many years of experience ensure that the staff of our customer service center knows exactly how important personal contact and fast service is for the customer. Our staff frequently gets questions especially about types of insurance. Our aim is to provide the information as clearly and completely as possible, not just on our website but also during the booking process. For instance, you can find on your voucher what is and is not included in the car rental rate. We will process your rental car reservation immediately even in the evening or during the weekend. Personal contact is important to us. If you call us during office hours your call is always answered promptly by one of our employees. A large share of our customers has been booking rental cars for many years through Alamo.nl. We greatly appreciate this and offer our regular customers the possibility to become “Members Only”. If you are a “Member” you will receive a 5% discount on all your car rental bookings. To become a “Member” you pay the one-off costs of EUR 17,50. You can do this even if you book a car for the first time and will benefit directly from the discount on your rental car. 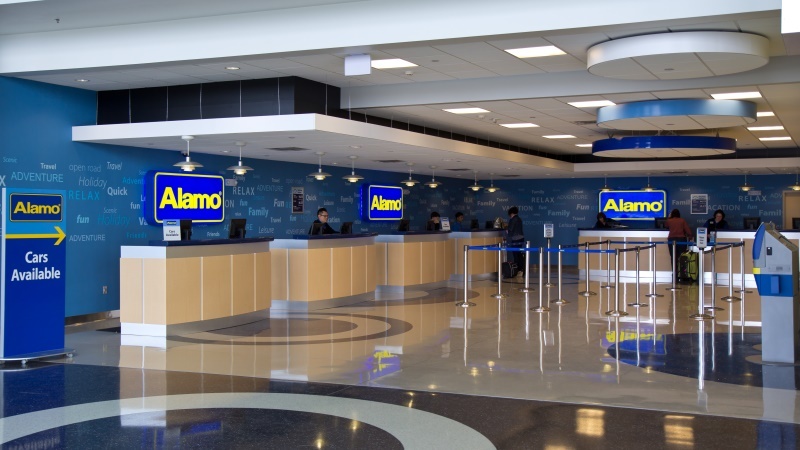 Alamo is part of Enterprise Holdings Inc. Enterprise Holdings, one of world’s largest car rental companies, based in thé USA, owns thé car rental brands Alamo, Enterprise and National. Alamo started in 1976 with 4 rental locaties in Florida quickly grew to one of the leading car rental companies in North America. Today Alamo has close to 2.000 car rental locations worldwide and services many thousand customers on a daily bases.